“Help Me” concludes the first half of Power’s third season, which historically means the show is about to upshift in a hurry. 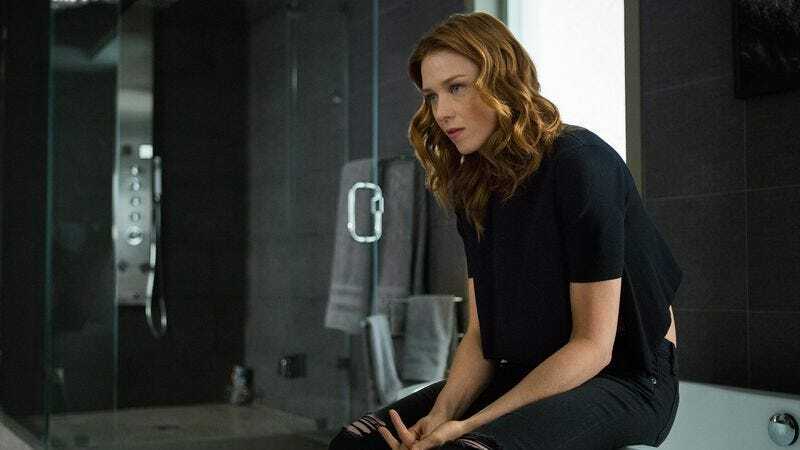 Around this time last season, Angela was finding out Ghost’s true identity, the revelation that raised the stakes and pitted Ghost and Angela against each other. “Help Me” redefines the show’s central relationships just as radically as “Who You Are And Who You Want To Be,” and by the time it ends, a regular character’s body has been inelegantly disposed of. There isn’t just one inciting event in “Help Me,” there are several, and each of them point to the likelihood of a thrilling back half to the season. As satisfying as much of the episode is, it inadvertently exposes the plotting flaws of the first half of the season. Tommy has been haunted by Lobos’ promise to kill him and Holly if he doesn’t ice Ghost, but it isn’t until after the Koreans’ attempted hit that Tommy realizes that doesn’t make any sense. Holly is convinced the only way to save themselves is by killing Ghost as soon as possible, but Tommy is skeptical of the Lobos theory, concluding that Lobos wouldn’t want to interrupt his cash flow. The big mystery here is why Tommy didn’t put that together a long time ago, and why the show pretended that was a legitimate threat. It didn’t make sense in the premiere that Lobos would murder his biggest distributor, especially when the same guy who killed poor Belle could just as easily kill Ghost. It doesn’t make any more sense now. Getting Tommy from point A to point B required a lot of long logical leaps and purely functional character behavior. A visit from Kate Egan is always a pleasure, especially when she’s shading her son’s latest Oedipal conquest. But she basically breezed in for no other reason than to convince Tommy that he had no quarrel with Ghost. Ghost has always protected Tommy, she says, back when they were kids all the way to the present. As if it wasn’t enough for Ghost to thwart Tommy’s assassination, Tommy asks Ghost for help in his time of need, with the most devoted woman he’s ever dated dead on his floor. I’m still not sure how I feel about Holly’s death, even as I acknowledge its necessity. Holly has long felt like a vestigial character, and the only time she sprang to life is when she left Tommy behind last season to briefly team up with Angela. It wouldn’t be easy to keep her an active part of the story for much longer. But something about the death left a bad taste in my mouth despite how efficient the scene was. Tommy is angry, anxious, and coked-up, and their argument about the unusual bond between Ghost and Tommy is raw and terrific. The lead-up works, but Holly’s death struck me as too abrupt. It feels unexpected, but not in a good way. It almost feels like the type of death reserved for actors who botch their salary negotiations, or the type that writers offer as a mea culpa to the audience for a character that obviously wasn’t working. I’m also uncomfortable because now I feel awful for Tommy, who is carrying a massive karmic debt, but you can’t help but sympathize with a guy who has just unwittingly killed his own unborn child. That’s a hell of a thing to reckon with, and eventually Tommy will reckon with it, otherwise there would be no point in having Holly share her pregnancy with Tasha. It all just strikes me excessive and operatic in a way this show usually manages to avoid. I’m not going to miss Holly, but I didn’t want her to go out this way. Another abrupt and unexpected departure happens—or at least the groundwork for it is laid. Lobos is finally being extradited, thanks to the combined efforts of Angela and Sandoval, who is still firmly under Lobos’ thumb. Ruiz shows up to testify after Greg tracked him down, and Angela is desperate for a way to derail the case before Greg exposes everything. Meanwhile, Ghost is having more doubts about his relationship with Angela after being tipped off to Ruiz’s return by Proctor, not his girlfriend. (Proctor just so happens to be in the perfect spot to see Ruiz’s frog-march in yet another Downton Abbey-level contrivance.) This too is an overdue development. I can’t imagine Power not being renewed for a fourth season at this point, and the show can only get so much fuel from the endless Lobos prosecution. The Angela and Ghost story does more than just advance the plot, it adds yet more muddled colors to the spectrum of dysfunction that is their relationship. Ghost is initially upset when Proctor tells him about Ruiz before Angela does, and as much as Ghost has gotten away with, I’m surprised Angela is still making herself available for his purposes. Clearly Angela has her own motivation for pressuring Ruiz to play dumb about Ghost, since the haterrific Greg continues on his war path. But more than anything, she’s proud of being a ride-or-die chick. She’s proud of getting her man off the hook, and it’s clear she would have done it even if she didn’t have any personal interest in the situation. “Hasn’t anybody ever helped you before?” says Angela, in a tone somewhere between sensual and unctuous. “Not like this,” says Ghost. “Not like you.” Somewhere, Tasha is suffering from a severe case of psychic stomach pain. Angela’s choices, and her pride in them, reinforce the wisdom of the choice to write Holly out of the story, even if I still have some reservations about the execution. Holly became most interesting and valuable when she was aligned with Angela and acting as her foil. It’s now clearer than ever that Angela is basically Holly with a terminal degree and a security clearance. Holly was shrill, irritating, and worrisome, but that wasn’t the underlying issue with the character. The main thing is that she was becoming a redundancy. I know, and I’m sorry. The episode six review will go up immediately post-air. Kanan is back in town, which also breathed some life into the show. Now there’s a real threat looming nearby and putting pressure on Dre. 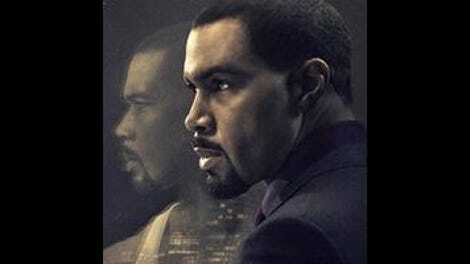 Speaking of Kanan and Dre, I really need Ghost to get out of the habit of postponing clearly important conversations. The assassination attempt on Ghost was a genuinely suspenseful sequence, and cutting back and forth between Tommy and Holly was really smart. Ghost’s security team needs to ask for raises immediately. Whatever he’s paying them is not enough. Tasha is toting Chekhov’s gun in her purse. So there’s that. Tarik might need a supplemental therapist to back up the main therapist.